A California mom-to-be has gone viral on Twitter after she said that one of her baby shower guests told her she wouldn't have to write out personal "thank you" cards. Laura Turner and her guests at one of her two baby showers. Laura Turner, 32, was given two baby showers. 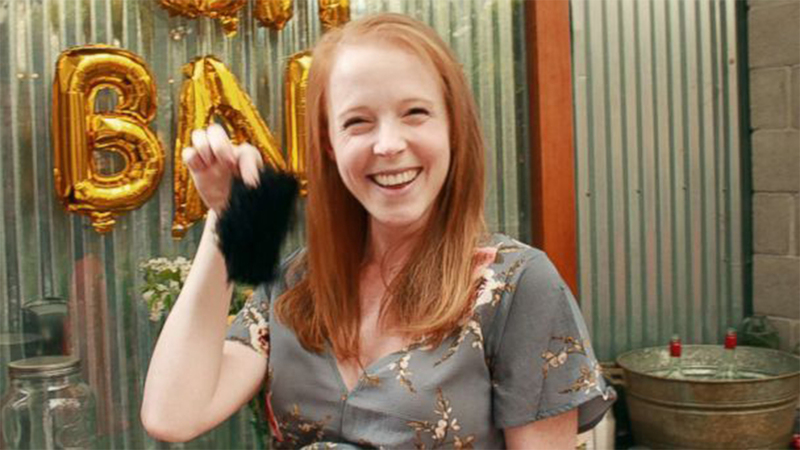 During one of her showers her mother's friend Amy Arnold, 52, announced that she and the group of 30 women would take the burden off of her and give her the gift of not having to write "thank you" notes. "At first everyone was kind of stunned," said Turner. "Pretty quickly it turned from a sense of surprise to a sense of excitement at this new and relieving idea." Turner tweeted about the good deed and her tweet received nearly 2,000 shares and over 21,000 likes. "At my baby shower yesterday, one woman said, before I started opening gifts, 'Can we give you the gift of no thank-you notes?' And everyone gasped and I DIED and now I'm going to be that lady at every shower I go to," she wrote. But, some people on social media did not agree with nice gift. One man tweeted, "As someone who normally LOVES hand-written thank yous (and also as the rare husband who helped with the baby-shower thank yous), I absolutely love this idea. Moms deal with enough." Another person wrote, "I don't believe losing our grace is a gift. Writing thoughtful (not perfunctory) notes of gratitude is a gift both for the author and the recipient." I was so excited by the one gift with a "no need for a thank you" note attached when Daughter was born that I phoned them straight away - they may have been the only people thanked in a timely manner. Arnold said she had randomly thought of the no thank-you note idea. "There is so much pressure on new moms to sort of perform and meet everybody else's expectations," Arnold said. "I believe that everybody wanted to communicate to Laura that we were there for her and all we really wanted her to do is enjoy her pregnancy, spend time with her baby and not be writing 'thank you' notes." Turner said she's had a tough pregnancy, so she appreciated the gesture. "While I like writing thank you notes, to remove the obligation felt like such a relief to me," she said.